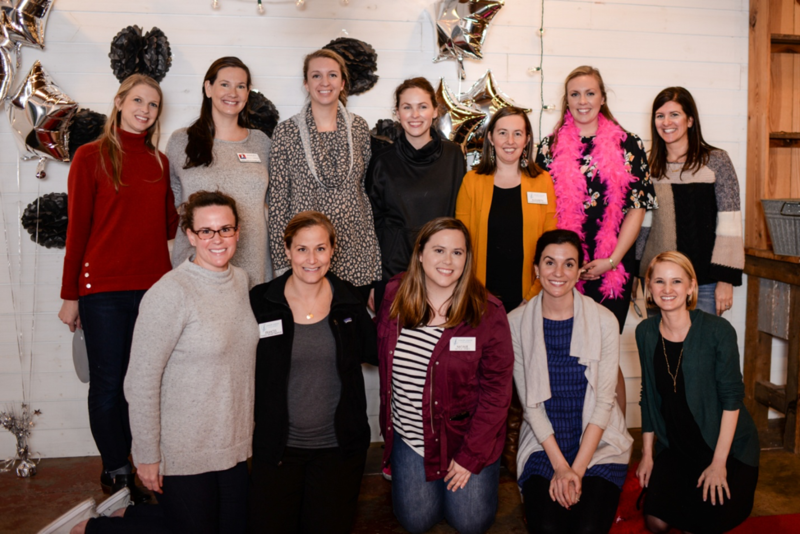 On March 5, the Junior League of Columbia’s Healthy Kids in Transition Committee helped throw an incredible and unforgettable party for the children at Epworth Children’s Home! The Friends of Epworth, a group of young professionals who help to raise undesignated funds for Epworth, throw a Palate Party every March as their signature fundraiser. 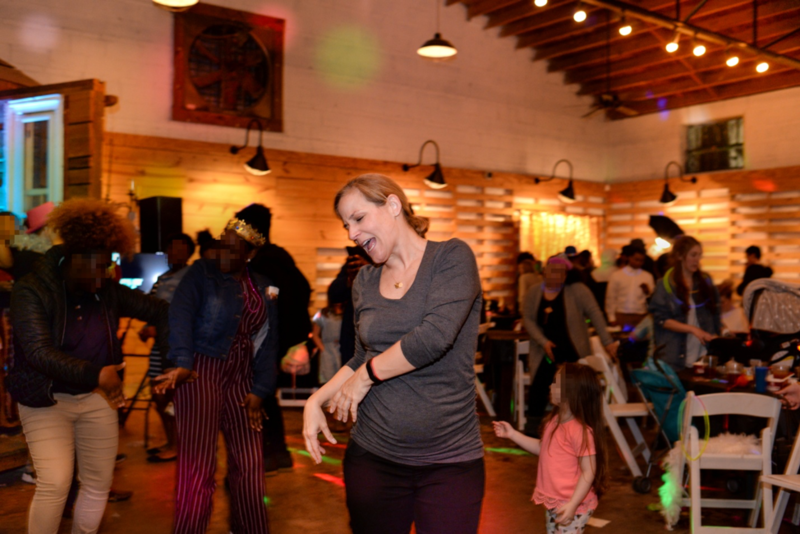 The Friends wanted to include the children at Epworth in the event, so the kids would feel like they were enjoying the same type of party – but geared toward children, of course! So, the Friends came up with the idea for a “Kids Palate Party.” Held at the same venue as the adult party, Hay Hill, and also held just a few days before the adult party was to take place, the kid’s party was a chance for the children at Epworth to enjoy good food, good music and have fun – just like their adult counterparts would do later that week! The Healthy Kids in Transition group arrived and totally transformed the space and the party itself into an amazing evening that the children at Epworth are still talking about, weeks later! 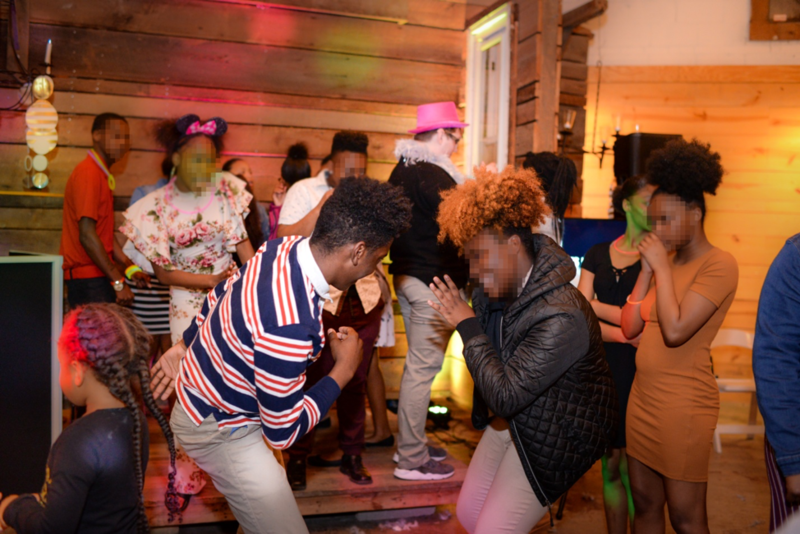 The group, led by JLC members Courtney Avant, Alex Parker and Dallas Gordon planned in advance of the party for weeks to make sure that they had the best food, entertainment and décor for the event. The afternoon of the event, the committee, as well as shift workers, arrived and began transforming the space. A red carpet was rolled out for the children’s arrival, and the room was decorated from top to bottom in a “Hollywood/Red Carpet” theme. There was a backdrop made up of lights, pompoms and balloons so the kids could pose for pictures on the red carpet, taken with Polaroid cameras and of course lots of photo props! Hudson’s Catering arrived and began to set up what would be a delicious feast of “upscale” kid’s favorites – burgers, chicken fingers, a mac and cheese bar and the biggest fruit and cheese board you have ever seen! ColdStone Creamery set up their ice cream bar, which had many different options for the kids to customize their dessert in whatever ice cream and toppings combination they could imagine. Not long after, DJ Snow, the entertainment for the evening began setting up his speakers, lights and binders full of song options for the children to choose from. The photo booth was the last to arrive, and started arranging their props and backdrop for the children to take pictures with their friends. These photos would become mementos of the night for the children to take back to their cottages and proudly display for weeks to come. The children began to arrive by bus around 6:30 p.m., and the excitement and awe in their eyes when they walked in the door was so wonderful to see! We currently have about 95 children on campus, and every single one made sure to be on time for the bus to Hay Hill – there was no way they were going to miss this event! After they walked the red carpet and had some “paparazzi” style pictures taken by JLC members as they arrived, the children started to take in all the amenities at the party. Some kids went right to the photo booth, others gravitated toward the food and ice cream bar, while others went straight to the DJ and started making their song requests. After everyone had a chance to eat supper, the lights were dimmed and that is when the party really got started! There was not a child that was not on the dance floor for the majority of the evening. It was such a rewarding feeling to see them cut loose with their friends and have fun, and just enjoy themselves without a care in the world for an evening. The JLC members were wonderful in engaging the kids, making sure everyone was having a good time, and even getting on the dance floor and dancing right alongside the children! At the end of the night, no one wanted the party to end, but it was a school night so the children had to get back to the cottages in order to get some sleep before school the next day. As both a League member and an Epworth employee, my heart was never more full than it was that night when multiple children came up to me and told me it was the best night they had ever had. The party would not have been even half of what it was without the hard work of the Healthy Kids in Transition Committee leading up to the event, and all the shift workers that helped the night of, too. Back on campus in the days after the party, I have already been asked when the party will happen again, and I think some children already have a countdown for next year’s party! On behalf of Epworth and the Friends of Epworth, we would like to thank the Junior League of Columbia for providing such a memorable event for the children at Epworth Children’s Home. Thank you for giving them a night to have fun, but most importantly to just be themselves – to just be kids!